Featuring free WiFi and a sun terrace, Qafqaz Tufandag Mountain Resort Hotel offers accommodation in Gabala. Guests can enjoy the on-site restaurant. Free private parking is available on site. A flat-screen TV with satellite channels, as well as a laptop are available. Some rooms have a seating area where you can relax. You will find a kettle in the room. Every room has a private bathroom. For your comfort, you will find bathrobes and a hairdryer. Superior rooms include a spa bath or a sauna. 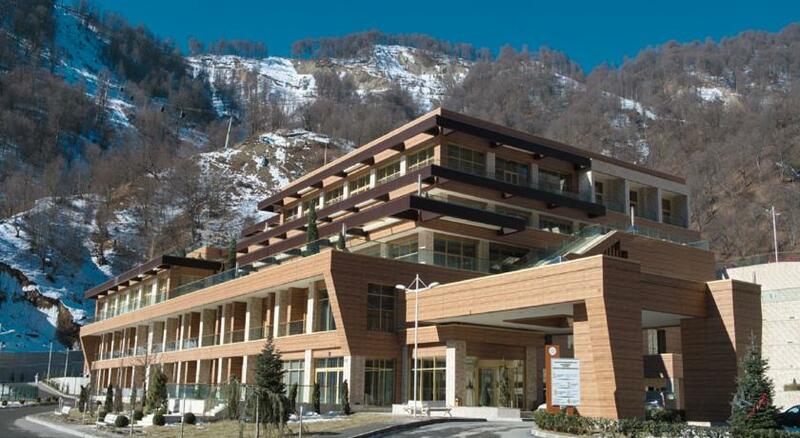 This hotel has ski-to-door access and ski equipment hire and car hire are available. Gabala International Airport is 28 km away.